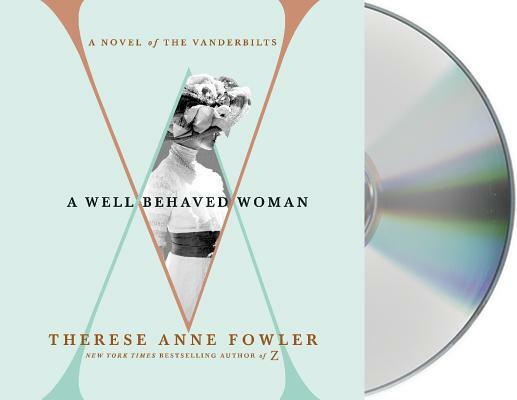 A Well-Behaved Woman is the riveting audiobook about iron-willed Alva Vanderbilt and her illustrious family as they rule Gilded Age New York, from the New York Times bestselling author of Z: A Novel of Zelda Fitzgerald. Alva Smith, her southern family destitute after the Civil War, married into one of America’s great Gilded Age dynasties: the newly wealthy but socially shunned Vanderbilts. Ignored by New York’s old-money circles and determined to win respect, she designed and built 9 mansions, hosted grand balls, and arranged for her daughter to marry a duke. But Alva also defied convention for women of her time, asserting power within her marriage and becoming a leader in the women's suffrage movement. In A Well-Behaved Woman, Therese Anne Fowler paints a glittering world of enormous wealth contrasted against desperate poverty, of social ambition and social scorn, of friendship and betrayal, and an unforgettable story of a remarkable woman. Meet Alva Smith Vanderbilt Belmont, living proof that history is made by those who know the rules—and how to break them.